RedVector has added ten new Process Safety Management (PSM) courses to its library, completing the PSM series with a total of 16 courses. 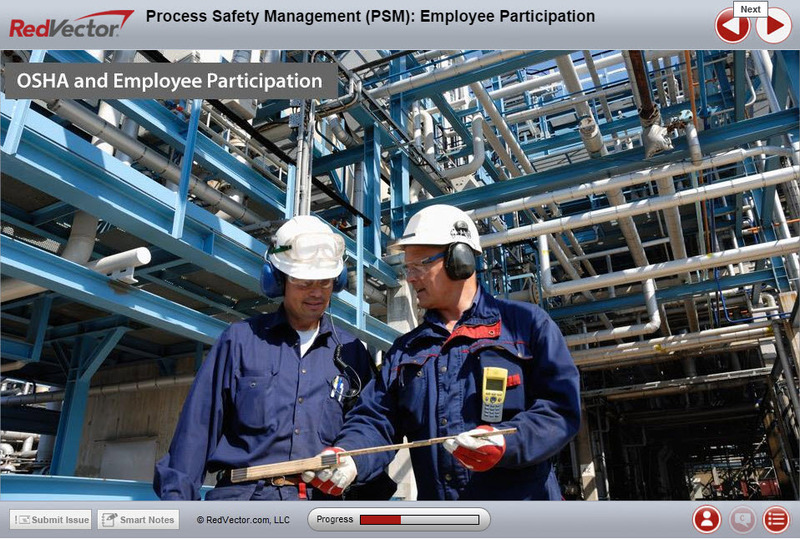 Through RedVector’s online PSM training, learners will gain important information about elements most frequently cited by OSHA, emergency planning and response, mechanical integrity, management of change, hot work permits, compliance audits, operating procedures and much more. This series of ten mobile-ready courses comprising eight hours of SME video content is presented by none other than W. Jon Wallace. Mr. Wallace, CSP, MBA is a Certified Safety Professional with nearly three decades of experience in the area of process safety management, and is nationally recognized in the area of occupational safety. All ten courses are mobile-ready!